A gorgeous pair of unique vintage earrings - with different shaped stone-like beads hanging from a silver tone backing. The beads start with a grayish blue circle bead that drops into a textured clear grey bead and finally down to a black stone-like bead. 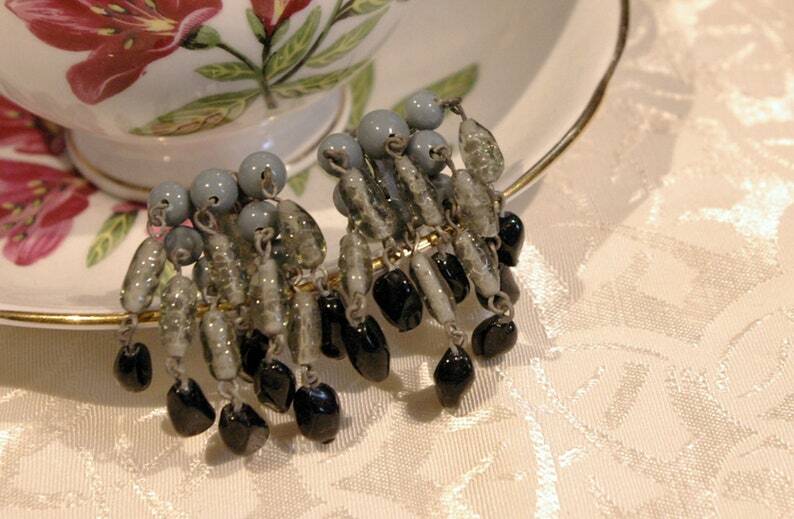 These are clip on earrings so are perfect for anyone. These earrings are signed JAPAN. 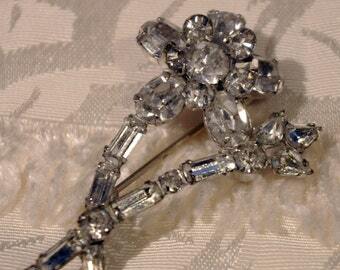 These earrings are in excellent condition showing little tarnish. However, we have not cleaned them. We leave cleaning up to their new owners. The earrings measure 1 5/8 inches in length and about 1 inch in width.